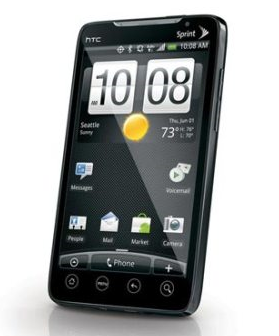 Flipz, the developer of Fresh ROM for the EVO 4G and the HTC Hero, has been quiet since the release of Fresh 3.5, and it's no surprise - Sprint hasn't pushed out anything to our beloved EVOs in months. Since Fresh is a Sense ROM that follows official releases, as opposed to being built from AOSP like CyanogenMod, I didn't really expect to see another Fresh release until either the next leak or an official Sprint release. With the arrival of a test build carrying Gingerbread for the EVO 4G yesterday, the situation changed - while being a test ROM, it seemed relatively fully baked and signed by Sprint's release keys, meaning its authenticity was undisputed. Flipz moved fast - after only a day, Fresh donors can now download Fresh 4.0 Beta 1 and test out just how well Gingerbread runs on their phones. This is a test build so expect issues, although interestingly it is signed with release keys. The usual fresh goodies: deodex'd, apk optimized, zipalign, removed a bunch of stuff, more stuff, etc, etc. The removed applications are no longer installing to the /sdcard/ and will be included in a separate zip later. DOES NOT CURRENTLY HAVE DARKTREMOR APPS2SD. 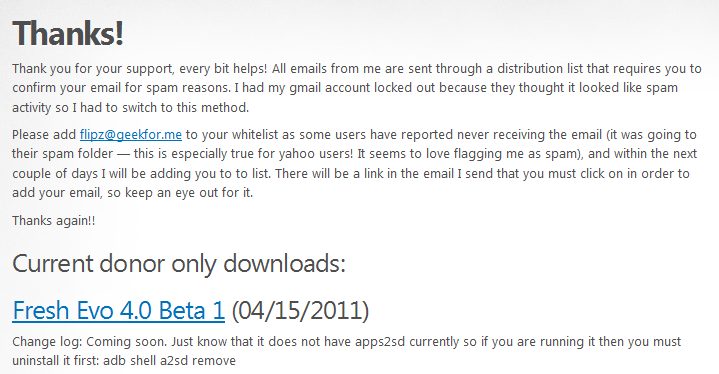 This means if you are using apps2sd then you MUST uninstall it first by running: adb shell a2sd remove. If you don't do that before you flash then you will lose all of your apps. DarkTremor hasn't been updated in about 4 months and I didn't have time to fully test it so I chose to not include it. My customization scripts do not currently run. Need more time to test. Most people likely didn't know they even existed as they run in the background on first boot only. This is a beta!!! Expect me to release updates/patches as problems come up. I already saw that busybox has the color codes in it. Will fix later. No wipe required! Yay. But of course if you have issues, then wipe. And always nandroid first. Please only email me if you find a major bug. If you need help or have questions please keep it on the forums. There won't be an official thread until I release this to the public. If you would like to donate to Fresh and get access to the download links, proceed to this page.